TRMTAB, a Student Kickstarter Project, Just Funded! Two of our recent graduates, Mansi Gupta and Cassandra Michel, launched a student project on Kickstarter this past month, and was just funded this morning! A cleverly designed, upcycled leather collection, TRMTAB is the result of many months of hard work, planning, designing, branding, business modeling, web platforming, and social media strategizing (Whew!). Thanks to everyone who supported the project. 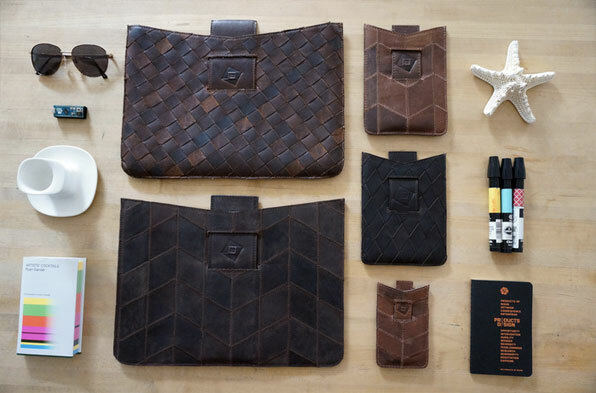 The students collaborated with a factory in India to incubate an upcycling process, salvaging large amounts of production waste. In addition, for every pledge, $5 will go toward a Girls Education Fund for the daughters of the factory’s craftspeople. Through the successful Kickstarter campaign, they will be able to send more than 42 girls to school for one year in India. See the project at http://kck.st/1iBXdte.